Cardiff’s speciality coffee scene has changed considerably since my last visit, not least with the arrival of Lufkin Coffee Roasters. Highly recommended by none other than Steve of Darkroom Espresso, Lufkin was naturally top of my list when it came to a return visit to the Welsh capital. Tucked away in the residential streets northwest of the city centre, it takes a little bit of finding, but you will be well rewarded. It’s also a great option if you are attending a cricket match at the nearby SWALEC stadium. 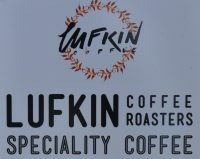 Lufkin opened its doors in September 2015, roasting all its coffee on a 1kg Topper, dedicated to serving pour-over. However, that quickly changed, and, with demand exceeding capacity, the Topper gave way to the 10kg Golden Roaster which you see behind the counter today. Lufkin also added espresso-based drinks to the menu. Roasting once a week, Lufkin only roasts single-origins, mostly for use in-house, one on espresso and two or three roasted for filter, served using the Kalita Wave. The green beans are bought in small batches and once they’re gone, Lufkin moves onto the next one, although if a particular bean proves popular, it’s likely to make a return appearance. The hardest thing is to find Lufkin Coffee Roasters. In the network of residential streets to the northwest of the city centre and west of the SWALEC Stadium/Sophia Gardens, head for the convergence of Kings Road, Sneyd Street and Pontcanna Street. There, in a mix of housing, shops and restaurants, you will find Lufkin’s sign, sitting on the street, and pointing down a passageway towards Kings Road Yard. Follow this and all will be well. Lufkin’s about halfway down on the left, with an outdoor seating area opposite it on the right. Carry on and you’ll reach Pipes Brewery, which occupies the yard proper at the end of the passageway. You only really need to go down here for the toilets, which are on the left-hand side, down a maze-like set of corridors. Lufkin occupies two adjacent rooms in a low, single-storey building. Originally these weren’t connected, so you had to go outside to get between them. However, that was resolved with the addition of a connecting door, which arrived at the same time as the outdoor seating, built for Lufkin as a project by some design students. If you want to sit out here, there’s a raised platform with a bench running along the back, down the narrow right-hand side and halfway along the front. While the left-hand side’s open to the elements, the right-hand side, with the majority of the seating, is covered by a high, Perspex roof which provides some protection if it’s raining. Opposite this is Lufkin proper, where you face a choice of two doors, the left-hand one taking you to the counter, where you order, and the right-hand one giving entrance to the second room, where there’s space for ten people Three two-person tables, one at the back, one in the large window to the right of the door and the third on the left-hand wall. Finally, two wooden shelf-tables, each with a pair of low stools, project from the right-hand wall. To the left, it’s mostly glass, with a glass door on the right. There’s a two-person window-bar, along with a low bench against the left-hand wall, while the rear two-thirds is occupied by the counter, behind which is the roaster (right) and the kitchen area (back), the left-hand side given over to the espresso machine and grinder. Both spaces are bright and spacious, done out in light wooden and bright colours. The only disappointment is that you can’t see the roaster in action. Lufkin used to close on Monday and Tuesday, so roasted then. However, with its growing popularity, it’s now open all week, and the roasting’s been moved to the evenings. Although the coffee’s the main draw, Lufkin has a small range of toast-based breakfast/lunch items, served until two o’clock, and a similar-sized selection of cake. While I was there, Lufkin was just changing over its coffee, so I went for the Ethiopian espresso as a flat white, pairing it with a slice of the chocolate biscuit & fruit crunch tray bake, a mouthful in all senses of the word. However, it went very well with my flat white, chocolate being the perfect complement to the rich, creamy flat white, where the coffee’s fruity notes came strongly through the milk. I should sing the praises of the beautiful, handless pottery cup. Liked this Coffee Spot? Then check out the rest of Cardiff’s speciality coffee scene with the Coffee Spot Guide to Cardiff. This entry was posted in Breakfast, Cafe/Roaster, Cake, Cardiff, Coffee Shops, Coffee Terraces, Laptop Friendly, Lunch, Retailers, Roastery and tagged include by Brian Williams. Bookmark the permalink.